Sunday at 10 p.m. Eastern; timeslot premiere Monday at 10 p.m.
Saul Goodman (Bob Odenkirk) is the ideal TV character for a spin-off: From his very first appearance in Breaking Bad, he’s the sort of on-screen presence that makes viewers think, “What’s this guy’s story?” More than that, the Saul who plays a supporting part in the tragedy of Walter White is a character who knows the value of proportionality and discretion. He may have a flair for dramatic proclamations and showy menswear, but he’s also the guy who advised the Whites to launder their ill-gotten gains through an unassuming car wash. If TV history has taught us anything, it’s that the spin-offs that survive are a lot like that car wash: They project a certain humility, and they don’t call attention to the enterprise that made them possible. Frasier never tried to be bigger than Cheers; Lou Grant didn’t even try to be the same type of series as The Mary Tyler Moore Show. Beginning as a more intimate character study with no delusions of Shakespearean grandeur, Better Call Saul could turn out to be this sort of spin-off. Unfortunately, it’s also the first spin-off of a Platinum Age prestige series, and its two-night premiere has trouble contending with and living up to the example of the TV show in Saul Goodman’s past, which is technically Jimmy McGill’s future. Once it moves out of Walt’s long shadow, the origin story of Odenkirk’s slickster attorney reveals itself as a rollicking caper that’s more Rockford than Heisenberg, with the protagonist revealing he’s as much a PI as he is a lawyer. This is post-prestige TV, still bearing the cinematic ambition and transformational arc of its parent series, but never forgetting that it ought to be a little fun to watch Saul dig himself out of a new hole every week. Of course, he’s not Saul—not yet at least. When the series opens, Odenkirk’s character still identifies by his birth name, James “Jimmy” McGill, and his legal practice boasts none of the flashy accoutrements familiar to Breaking Bad devotees. He’s advertising on matchbooks instead of bus benches, but the flamboyance he’ll one day display in chintzy TV commercials is already in place. With Jimmy fronting his own series, Odenkirk actually gets to show the character’s courtroom prowess, an entertainingly theatrical style of litigating that draws upon the actor’s sketch-comedy past. The star appears in practically every scene of Better Call Saul, and any doubts that Odenkirk can carry the series are expertly dispelled in a whirlwind courthouse montage in episode two. The back-to-back debut is a wise decision on AMC’s part; the first two hours are where Better Call Saul struggles most to be its own show, but those struggles are less evident when the episodes are viewed in short succession. Tone is the tallest hurdle facing the show, and the premiere episodes have a tendency to swerve between moods and tenors. In one scene—a tense desert stand-off expertly transplanted from the Breaking Bad playbook by director Michelle MacLaren—Jimmy negotiates a pair of associates out of a grisly fate. But he’s not 100 percent successful, as he’s reminded minutes later by visual gags and punishing sound effects that make Odenkirk wince his way through a dinner scene. 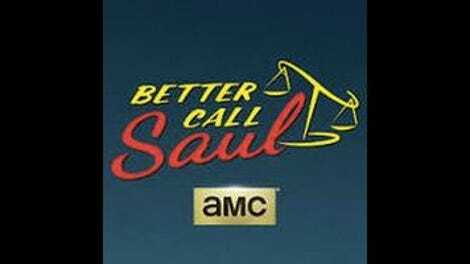 It requires some fine tuning, but when co-creators Vince Gilligan and Peter Gould hit the right notes, Better Call Saul is the black comedy Breaking Bad always hinted at being. In turn, Jimmy’s version of Albuquerque is one of eccentric characters with softer edges, a place populated by small-time con artists and bumbling political figures. His brother Chuck (Michael McKean) is a once-successful attorney forced onto sabbatical by a curious affliction; at Chuck’s firm, Jimmy has an inside woman in the form of a girl Friday played by Rhea Seehorn. Odenkirk and Seehorn make good sparring partners—and the aspiring hood played by Orphan Black’s Michael Mando just might spur our hero to new, ethically compromised heights—but the richest contentions are reserved for Jimmy and Mike Ehrmantraut (Jonathan Banks, reprising his Breaking Bad role). The duo forges a relationship in acrimony, thanks to Jimmy’s habit of talking around his problems and Mike’s stubborn refusal to be talked around. Fortunately, Banks’ presence is the closest Better Call Saul comes to having any of Saul’s old friends pop in to wish him luck. This show is in dialogue with its predecessor, but that dialogue exists as a bridge between Better Call Saul and Breaking Bad, not a doorway for cheap fan service. The idea here is not that there was more story to be told within the context of the original show; the idea is that there’s a history connecting Jimmy McGill to Saul Goodman, and this show is the chronicle of that history. The character doesn’t find his identity instantaneously, and neither does his show. But the faith Gilligan and Gould have in their performer and their character is vindicated when Jimmy gets out from behind his desk and hits the streets, seizing the trajectory toward his known destination. The personal stakes aren’t as high as a terminal cancer diagnosis, but Jimmy McGill is a humbler figure than that. Better Call Saul is a television series of gumption and shoe leather, the type of TV they used to make when expectations weren’t set so high—because guys like Jimmy know that high expectations can only lead to disappointment.